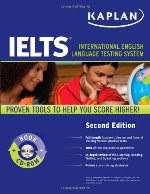 Rp.0 (STOK HABIS) @ Kaplan IELTS 2nd Edition with CD-ROM. 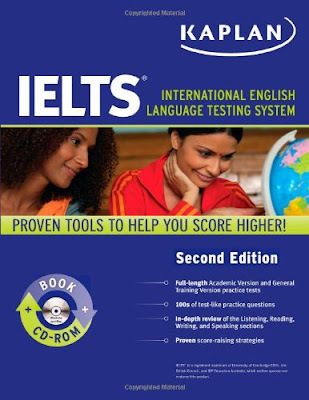 Each year 1.2 million people in over 300 countries worldwide take the IELTS exam in order to demonstrate proficiency in the English language. The exam, which gauges comprehension by testing listening, reading, writing, and speaking skills, is used for entrance into universities, nonacademic business settings, and as a part of immigration applications for permanent residence or citizenship in several English-speaking countries. The IELTS is an approved English language test for U.S. naturalization/visa applications. Kaplan IELTS provides in-depth review, test-taking strategies, and test-like practice questions for all four sections of the Academic and General tests. This comprehensive guide features: full-length Academic and General Training Version practice tests; practice questions with detailed answer explanations; in-depth review of all parts of the test with strategies and skill-building methods; and a CD with content spoken in British English for realistic listening and speaking practice. Editorial Reviews About the Author Kaplan Test Prep and Admissions has helped more than 3 million students achieve their educational and career goals. With 185 centers and over 1,200 classroom locations throughout the United States and abroad, Kaplan provides a full range of services, including test-prep courses, admissions consulting, programs for international students, professional licensing preparation, and more. DISCLAIMER: Semua materi yang terkandung dalam blog ini hanya bersifat contoh produk.